All living system self-regulates, or, within any living system, there needs to be communication between parts of that system. This can include a unit as small as a cell, a plant, or animal, or even more complex organism. For example, my systems are regulating my temperature: regulation is a property of the living system. Secondly, in order to act it is necessary for organisms to be able to distinguish between self and other, whatever this ability is learned or as part of the process of action. The predominant account on explaining the sense of agency of our own actions is the "central monitoring theory" or "comparator model" that postulate a monitoring of central and peripheral signals arising as a consequence of the execution of an action. Moreover, the simulation theory was considered in alternative to the comparator perspective. 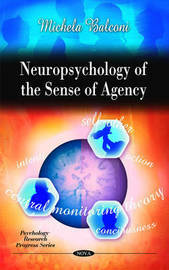 Secondly, the contribution of body representation for agency was explored, taking into account the significance of proprioceptive feedback for self-agent attribution. Finally, the neural correlates of action and agent representation were considered in the light of new empirical results.